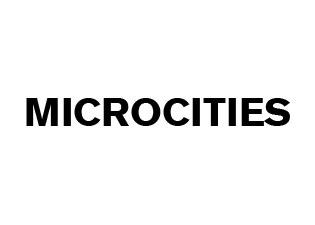 Mariabruna Fabrizi and Fosco Lucarelli founded Microcities in Paris in 2010. Their practice and research focuses on the collision between work, politics, popular culture and leisure, resulting into projects which are clear and specific, while still keeping within the richness and the metaphor of all the explored fields. At the heart of Microcities’ work is the idea of calling into question the context we live in, turning it into a true design tool, in order to subvert conventional typologies and explore new ways of living. The professional activity is constantly verified and substantiated by a research conducted through teaching and through frequent writings on art, architecture, media and technology on their online platform socks-studio.com The agency has already received several prizes in international competitions, including Europan 10.